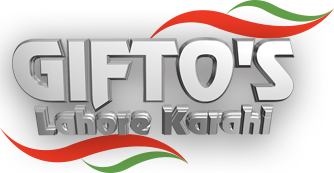 Gifto's Lahore Karahi is a jewel in Southall’s colourful crown. Every year we serve thousands of families with consistently delicious, authentic unchanged recipes. Gifto's reputation attracts patrons from all over the United Kingdom and the globe. The impact upon customers and community is so profound that Gifto's has become a popular family name. The restaurant accommodates 180 diners in the ground floor restaurant and a further 180 diners in the lounge which can be hired for private events.